Pearce Family Holiday Drawing 2016! By now you probably know the drill – every Christmas, I draw our family into a holiday themed picture which then gets used as the X-Mas card we send out to our friends and neighbors. Truth be told, I already had a go at The Grinch six years ago but I was never happy with how that one turned out (too much yellow!) and the previous grinchy doodle was done BEFORE we started sending these out as holiday greetings so… yeah, natural do-over. Feel free to click here and peruse that last 7 years of holiday drawings. If you’ve been following my comics here for long enough, you know the drill – every December, I draw my family’s Christmas card featuring all of us in some kind of seasonally appropriate homage. This year I decided to have a go at Rankin/Bass’ seemingly immortal Rudolph the Red-Nosed Reindeer. As a kid, this one was always my favorite. Take a stroll back through Christmas and Halloweens past with some of the other Pearce Family Holiday drawings. For the past few years, I’ve been drawing our family’s Christmas cards. It’s been a fun way to contribute to the holiday. Last year we did a standard Santa Claus scene featuring a pregnant Ellen. 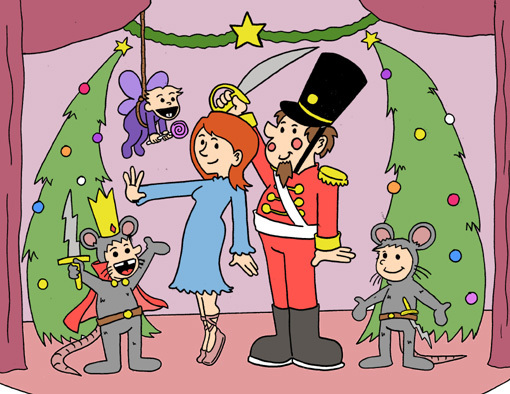 This year Joan makes her debut as the Sugar Plum Fair in our production of The Nutcracker. 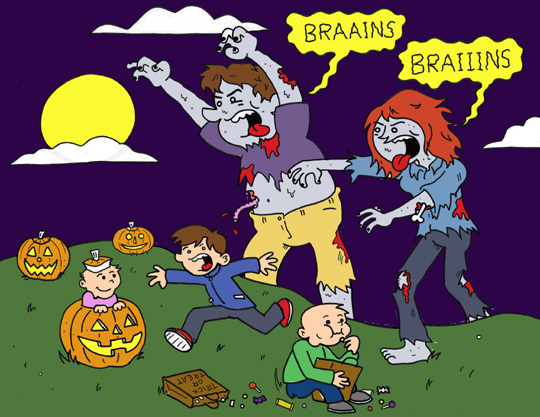 Longtime readers of my comic may remember that every Halloween I draw a seasonally themed cartoon of my family for posting on social media. New readers… that sentence above is a true statement. 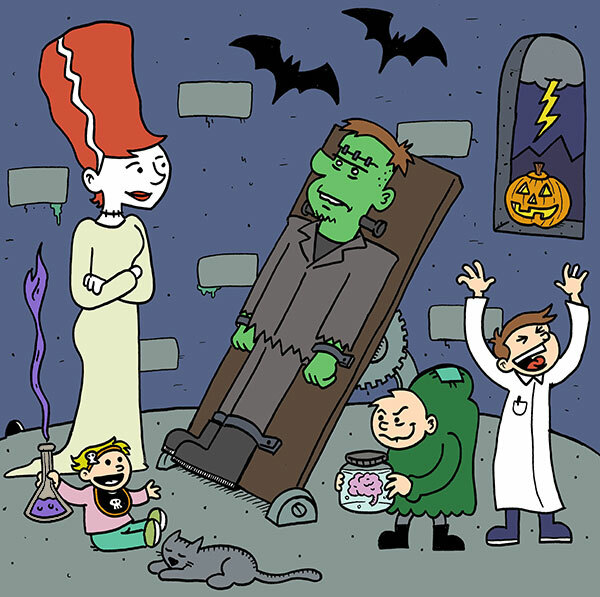 You can check out previous years’ Halloween (and Christmas!) doodles here.